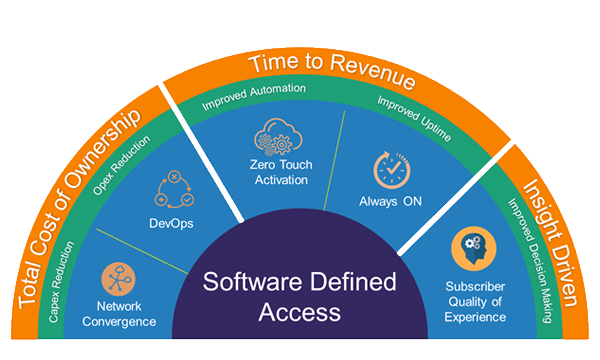 Software-Defined Access (SD-ACCESS) is the first management intent-based networking solution for the Enterprise built on the perception of Cisco’s Digital Network Architecture. SDA provides automated end-to-end segmentation to separate user, device and application traffic without redesigning the network. It automates user access policy so organizations can make sure the right policies are established for any user or device with any application across the network. SD-Access is generating big interest as a technology that makes networks programmable and less expensive to build and operate. There are many challenges today in managing the network because of manual configuration and fragmented tool offerings. Standard actions are slow and error-prone and these issues will be irritated due to the constantly changing environment with more users, devices and applications. With the growth of users and different devices types coming into the organisation, it is more complicated to construct user credentials and maintain a consistent policy across the network. If your policy is not consistent, there is the added complexity of maintaining separate policies between wired and wireless. The bottom line is that the networks of today do not address today’s network needs. There are three models for a SD-Access, which can apply to any access technology. The first model uses software to centrally control and manage lines connected to the access hardware. 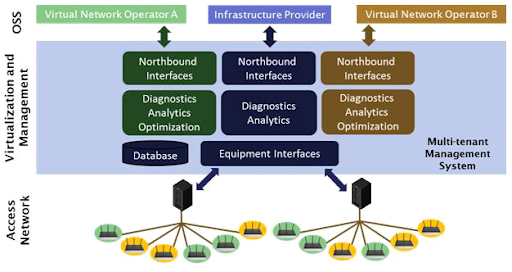 The second model uses software to manage virtualized access networks. The return on investment in new access infrastructure. The following figure shows an architecture that combines the above two models. The third model uses software to manage virtualized access network technologies that extend beyond the access segment to the home network and to the end-devices. This operator may offload traffic from a customer’s mobile device to a Wi-Fi access point connected to a fixed access line within its control. Network capacity are exponentially increasing, and the amount of cloud-based computing and storage in large-scale data centres is decreasing just as rapidly. Using the SDA for network management in virtual multi-operator environments is also a theme of this article. The SDA can streamline inter-operator operations, lowering costs for wholesale and retail operators. #BayInfotech, services offers and customer broadband behaviour are becoming increasingly sophisticated. Data processing and cache on network elements is becoming prohibitively expensive by comparison, and network control functions will migrate into the cloud wherever feasible.